12 Şubat 2019 Salı 14:01 - 2 reads. A woman from Rudersdal north of copenhagen and a younger man from the island of Fyn have been infected by measles after a trip to the same area in France. There is talk about the Val Thorens, where there has been an outbreak of measles. - You need to check that you have been vaccinated against measles, if not you become this, you have to rush down and be vaccinated, says afdelingslæge Peter Henrik Andersen Statens Serum Institut for the Extra Magazine. the Woman is, according to the Agency for Patient safety hospitalized in isolation. Prior to admission she stayed in a waiting room with her own gp with other patients. Measles is an extremely contagious disease, and the Agency for Patient safety has initiated a procedure to ensure that the other patients in the waiting room will be contacted and will receive appropriate treatment. - Anyone who has been in the waiting room at the same time with the infected person, will be contacted by their doctor. So if you don't get a request, you should not be worried, Hanne Borch-Christensen, chief physician at the Agency for Patient safety. The infected woman was not vaccinated against measles and had not had the disease as a child. Measles is first introduced in the childhood immunisation programme in 1987. Therefore, a large proportion of the population born before that time have not been vaccinated against measles. Most of them have had the disease, but those who do not have risk to be infected, explains Hanne Borch-Christensen. She points out that both children and adults can become very ill of the measles, and non-vaccinated can be vaccinated free of charge. 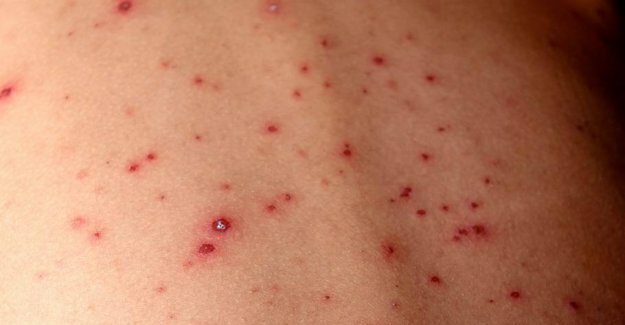 - Are you sick of the measles, you can risk serious complications such as otitis media, pneumonia or encephalitis, says the chief physician. you Have symptoms of measles and are not vaccinated or have had the disease, you must call to his doctor. One should not turn up unannounced, as measles is very infectious, and are thus likely to infect others in the waiting room. In 2018 was around 83.000 people in Europe infected with measles, which is more than twice as many as in 2017. Ukraine has been hardest hit, but also France, Italy, Serbia, Romania and Greece have had major outbreaks. 72 people died in 2018 as a result of measles. Measles is one of the most contagious viruses in the world. The disease is officially eradicated in Denmark, but the danes can still be infected if they travel abroad. On the way the disease can also come back and contagion within the country's borders. Source: the Danish State serum institute.